Very Good. 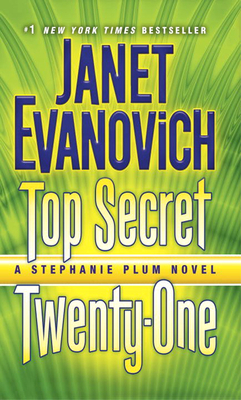 Top Secret Twenty-One: A Stephanie Plum Novel (Stephanie Plum Novels) by Evanovich, Janet. Mass market (rack) paperback. Glued binding. 352 p. Stephanie Plum Novels. Good. Top Secret Twenty-One: A Stephanie Plum Novel (Stephanie Plum Novels) by Evanovich, Janet. Mass market (rack) paperback. Glued binding. 352 p. Stephanie Plum Novels. I loved the story line, the characters, and her humor in portraying her characters. It kept me interested all the way to the end. Just loved it.